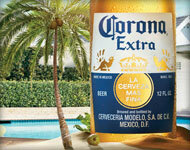 Corona, is one of the best-selling worlds across the globe and available in over 170 countries. The beer was introduced in Mexico in 1925. Corona is the title sponsor of the LPGA Tour tournament Corona Championship and the NASCAR Corona Series in Mexico. Famed Super Bowl winning coach in the NFL, Jon Gruden recently teamed up with Corona Extra and Corona Light to showcase the launch of Corona’s “Find Your Beach for the Game.” Musician Jared McCloud signed an Endorsement Deal with the company recently, and other celebrities who endorse the brand include country superstar Kenny Chesney and musician Michael Franti. AthletePromotions.com is the place to turn to in order to connect your company with a celebrity for an Endorsement Deal. With a famed star as the face of your product or services, this is a proven method for increasing sales and spreading brand awareness. All it takes is a call to our agents at 888-246-7141, or a minute to fill out our online athlete endorsement form and we can assist you in securing one of your favorite celebrities for an Endorsement Deal, while you take credit for helping your business grow.